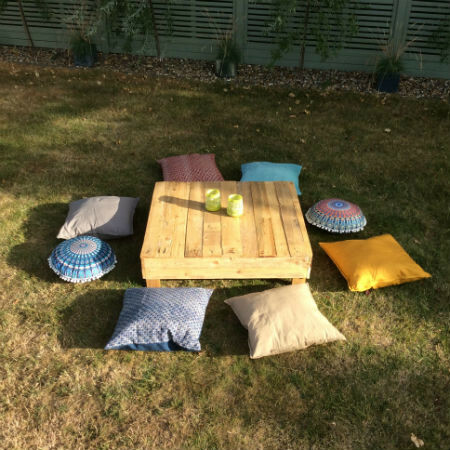 To go with our rustic outdoor furniture we have a number of large floor cushions available to hire. 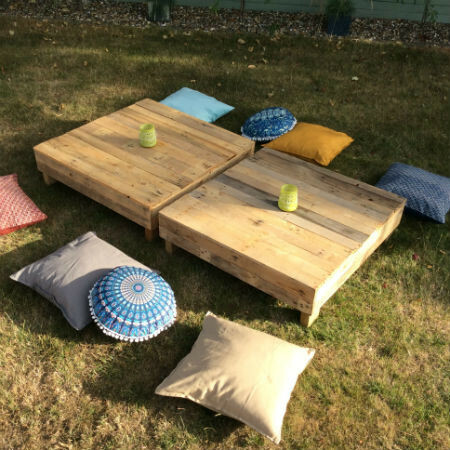 These, together with our Low Tables, create a perfect lounge seating area or unique break-away area for guests to relax. We have a mixture of solid and patterned square cushions as well as a number of round, Moroccan style pads. Please see prices below.